After today’s FED meeting and the subsequent Powell conference, which was quite profound in tone, the majority of currencies gained to the US dollar. As a rule, I try to avoid dollar pairs in days like today and look for trading opportunities on crosses. 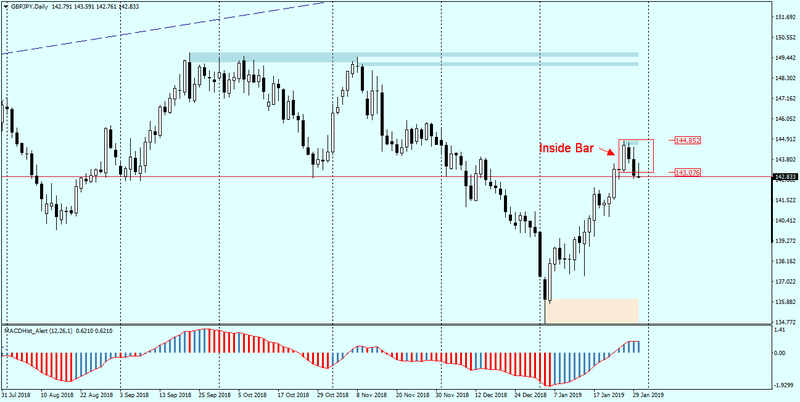 The GBPJPY pair seemed to me the most interesting because of the appearance of the Price Action – Inside Bar on the daily chart. It seems that the market has decided to leave the IB downwards and go south. On the H4 chart we can additionally see the H&S formation, where the shoulder line (marked blue dashed line) is perfectly parallel to the neck line, which is currently in the phase of trying to be broken. 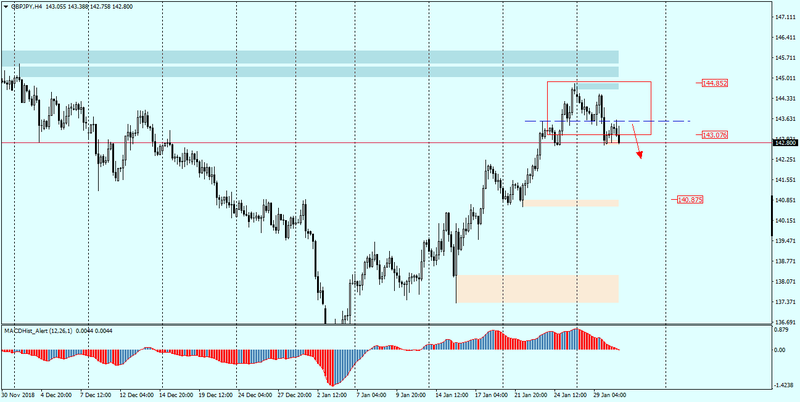 In case of a successful breakout, the closest supply target may be the demand zone starting at 141.00. Enter after confirmation. A good confirmation of further drops will be the appearance of a maximum (lower bar) on the MACD in the daily chart.